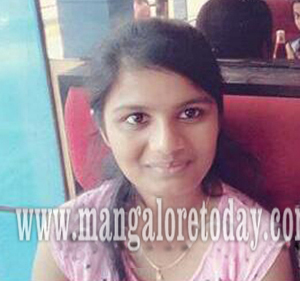 Mangaluru, June 1,2017:An first year engineering student of the Srinivas Institute of Technology at Valachil has reportedly ended her life by hanging herself in the hostel room on June 1, Thursday. The deceased has been identified as Suchethana A C (18), daughter of Chandre Gowda from Chikkamagaluru. Suchethana who had been to her native place on May 27 had returned to Valachil just on Thursday morning. It is said she hanged herself using her shawl. Though the reason behind the extreme step is not known, it has been gathered that she had failed in computer science subject. The girl is also learnt to have left behind a suicide note. Mangaluru Rural police are investigating the case.